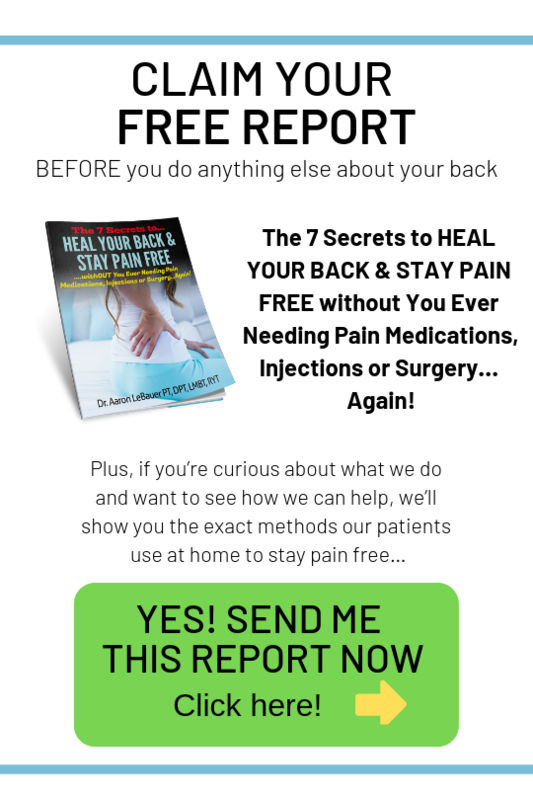 Are you concerned your back might have “gone out of place” or worried that because your back hurts, something is really wrong? Dr. Derek Nielsen of Kaizen Physical Therapy and I are here to tell you that you don’t need to be concerned. Your back is really strong and doesn’t “go out of place” the way you may hear people describe it. Yes, there might be a muscle in your back that is spasming so it’s hard to get back up. But we’re here to say that’s okay. Take a deep breath because you will be fine. Sometimes what is actually happening is your body is just gripping so hard to keep you from moving or falling over. When we hear people say that their back “went out of place,” what they are typically describing is the sensation of their powerful back muscles spasming or locking them down on one side and not the other. In these cases we want you to know that your spine doesn’t move like it’s being described. The joints don’t go just “out of place.” Even if people get into car accidents, their spine is not “out of place” in their autopsy. It’s just much too strong and congruent. The best thing you can do if you feel as if your back “went out of place” is to find someone who is used to seeing patients like this all the time, like a physical therapist and back pain specialist like we have here at LeBauer Physical Therapy. If you feel like your back is out of place or that you’ve slipped a disc and are still struggling to return to your prior level of activity or fitness, just click here to schedule a call back. We would love to speak with you on the phone and talk about what’s going on and share with you exactly how we can help!